Current: How to choose the best Domain name for SEO? When choosing your website domain name, you have the choice of either using your company name as the domain name or using a keyword as the domain name. What you select in this process of domain name selection, directly will affect how your website will rank in the future on major search engines. 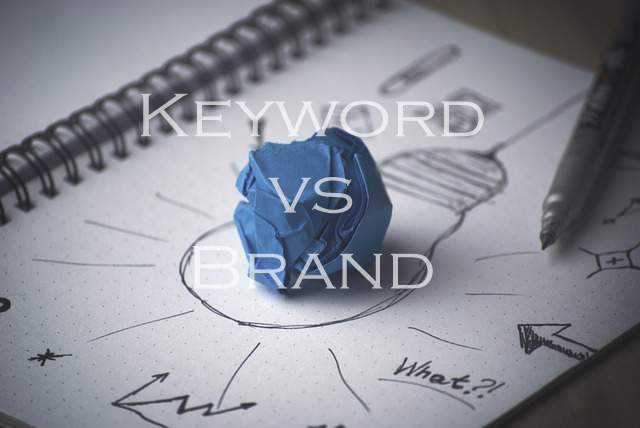 So, you've decided you want to go with the branded approach and dedicate your company’s entire web exposure to a certain brand name instead of a generic keyword optimized domain name. Well that is a great idea one might think, after all who wants to be known online for a keyword? However, if you really want to know the truth, a branded domain name can have a direct affect on your website rankings. When search engine bots come along to crawl your website, they don’t understand what your website is about right off the bat. Search engine Bots will crawl millions of web pages daily and look for specific factors present on a web page that helps understand the nature of that website. Unless your Nike, your brand alone isn’t probably going to let a machine bot algorithm know that you sell shoes. What then ends up happening is that you easily rank for your company name, but you don't rank for any other search terms close to the services you provide. You see by having a keyword in your website domain name, you can help the search engines understand your website niche much better. Branding however, is also not a bad thing, don’t be mislead here. Unless your website company is highly brand centric and does not need a seo boost from a keyword domain, this advice may not be the best. Keeping in mind many websites do successfully rank on their company name, but using keywords in domain is a seo technique highly used today and has been proven to be successful. Keep your options open and think ahead. Tip: Keep two domain names for your business. Have your main website domain name reside on a seo keyword domain name that is related to your niche. Then redirect your main company website domain name to your keyword search engine optimized domain. Already you have gained some SEO points with your SEO game plan. Your website domain name will be used by search engine ranking algorithms to better rank your website among the correct niche. This helps directly with relevancy and is a seo ranking factor. Your website now needs a great design and layout that is SEO optimized for many other search phrases and keywords tailored for your business. Tip: Use different HTML heading elements (H1,H2,H3) for your main keywords on your page. Also use your keywords in image 'alt' text.